Codeigniter, one of the most popular open-source, PHP web-app development frameworks is a powerful tool. It is one of the most smart application development skeleton frameworks which offers a flexible and expandable core powered high performance. WonderSoft Multimedia Solutions development team is loaded with an extensive experience with working on Codeigniter framework. Our developers are adept at creating complex applications with sturdy scalable structure and architecture. We know how to harness the power of abundant libraries which are come as a part and parcel of Codeigniter. There are others out there! Why us? Creating gen-next encouraging web applications has never been so easy before this wonderful web application platform. Our team at WMS, owing to their extensive experience with this platform, developing web-applications, has earned them the reputation of being the fastest and robust IT web developers. Codeigniter is an absolutely light and easy to deploy platform which runs without any hassle. WonderSoft Multimedia Solutions are Mavericks of Versatile Codeigniter Development. Offering all sorts of features such as database, abstraction and validations all the while providing the best in class security & error-handling capabilities, Codeigniter encapsulates a power-packed design of its own. WMS is a leading open-source web-application framework capable of developing high end dynamic and intuitive websites without any hassle. A beautiful code demonstrates a balance between clarity and transparency, elegance, efficiency and aesthetics. Codeigniter offers a powerful yet easy to use and efficient toolkit which enables our developers to create perfect and highly responsive web applications. Our developers at WonderSoft Multimedia Solutions are unparalleled at using this powerful tool and using the least amount of code to offer the state-of-the-art outputs. As a Codeigniter Development Company in India, we have accomplished more than 100 projects for our various clients, locally and internationally. So, if you are looking for smart, efficient and extremely skilled Codeigniter developers for your web application development needs… Well, what can we do for you? We invest our time in training for codeigniter developers and encourage our development team. If you have out of box app idea in mind then WMS codeigniter framework app development team is always ready to work with you. Our development team combines codeigniter with Angular JS to get maximum benefits of the framework. We offer reliable support and maintenance for mobile apps even after delivery. With Codeigniter, our developers can manage cross-platform database schema updates easily with helps of the migration aspect. 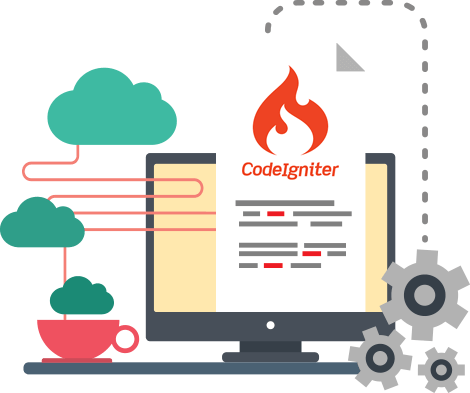 Codeigniter provides a user-friendly interface that help developers to create a dynamic, flexible, secure and large web applications quickly. With the help of Codeigniter, our programmers can develop feature-loaded web applications with high-end functionalities using in-built resource and libraries of the Codeigniter. Ready To Create Codeigniter Web Platform With WMS? Nobody understands Codeigniter better than us and no body will be merrier in helping you create awesome applications for your business more than us. So pick up the phone and give a call if you want to harness the power of Codeigniter Development!